Upcoming Trade Shows - Meteor Foundry Co. Here at the foundry, we believe in community involvement as an integral part of our industry. A crucial part of that involvement means exhibiting at manufacturing tech shows. This year our team is exhibiting at the Canadian Manufacturing Technology Show (CMTS). From September 25-28, the show will be held at the International Centre in Mississauga, Ontario. We will be located at Booth 1009, showcasing a variety of castings. CMTS is a national stage for exhibiting manufacturing technologies, best practices, and for connecting industry professionals. Attendees can meet with over 700 manufacturing suppliers, learn from industry leaders, and connect with thousands of authorities within the industry. There will be technology exhibits, conferences, and a good deal of networking available throughout all 3 days. 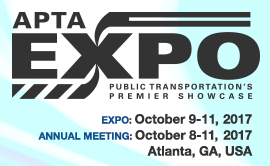 Up next: the APTA show in Atlanta. This October, we shall be networking with as many professional as possible. The show is the Public Transportation’s Premier Showcase and runs from October 9-11at the Georgia World Congress Center. This expo is where innovation and technology come together in an effort to advance public transportation. A great opportunity to introduce Meteor Foundry casting capabilities as a potential supplier. Since 1965, Meteor Foundry has been providing customers with unparalleled quality, customer service, and on time delivery. We are ISO certified, ensuring customers get the quality they expect while knowing we adhere to strict standards of safety and efficiency. We are able to take your concept and develop from prototype to finished product. Here at Meteor Foundry, we specialize in aluminum, zinc, sand and permanent mold casting, and pattern tool making. Our products can range in size from ounces to approximately 4000 lbs. We serve industries such as mining ventilation, robotics, transportation, electric & gas, furniture, truck, defense, and more. We invite you to contact us with any project need you may have. You can also learn more by reading our blog, following us on Twitter, and connecting with us on LinkedIn. We look forward to seeing you at one of the expos or on any one of our social media platforms. This entry was posted in Castings, Manufacturing, Metal castings, Mining and Castings, New Technologies and tagged advancing public transportation initiatives, APTA in Atlanta, Canadian Manufacturing Technology Show, casting capabilities, CMTS, community involvement, innovation and technology, manufacturing tech shows, Public Transportation’s Premier Showcase, the Georgia World Congress Center, the International Centre in Mississauga. Bookmark the permalink.